Our church is gifted with talented singers and musicians who lead us in worship service every Sunday. Even though Choir was ready on the first day of the congregation, Choir became an organization officially on March 13, 2016. The Parish Choir was affiliated to the Department of Sacred Music and Communication (DSMC) as on July 28 2016. So far choir has conducted 2 auditions and have 30 members. 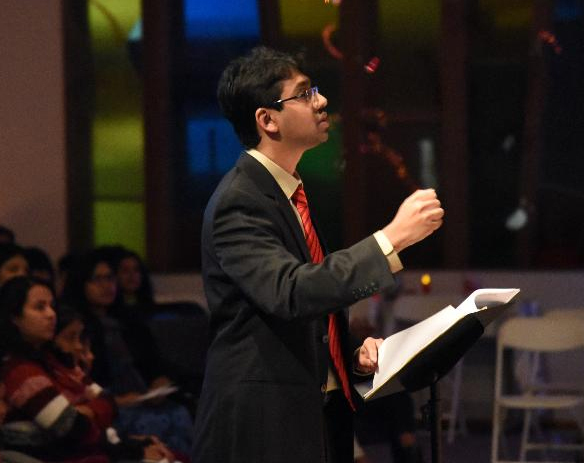 The choir has a mission which is to serve the church and in turn serve God by delivering songs in worship and praise, endeavor to develop a sense of spiritual well-being among the parishioners and to provide opportunities to the youth to participate in the Qurbana service in a meaningful way. The choir gathers every Sunday for church service and hold regular practices in preparation for each Sunday Service. The members also gather in a Song Fellowship once every quarter and an outreach event once every year. 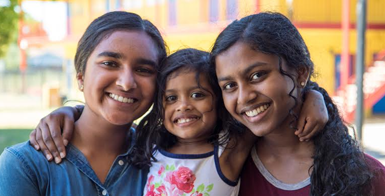 This provides an opportunity to not only learn new songs but also to have a closer relationship with each other that goes a long way in building a sense of unity and purpose. The Choir also assists the Vicar in Baptism, Wedding, House warming services on invite and accepts donations for the same. 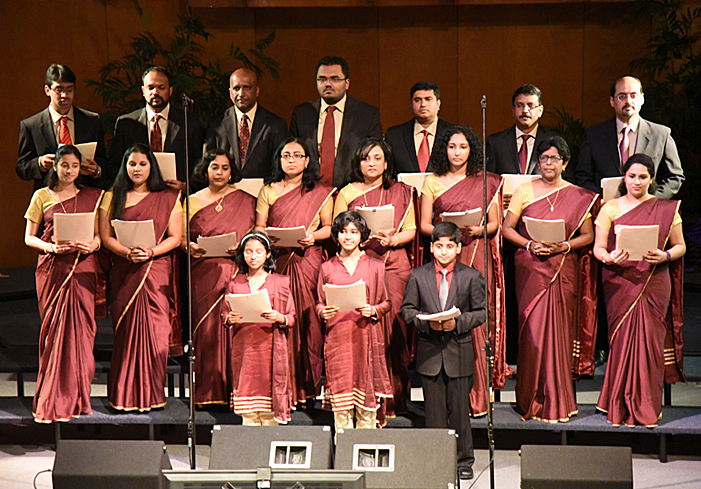 The Department of Sacred Music and Communications (DSMC) is the official music department of the Marthoma Syrian Church. DSMC Will Organize, co-ordinate and equip the parish choirs in their mission as worship leaders through Sunday visits, weekend training programs and other retreats and seminars Help our parishes to make use of the audio and visual media in promoting Christian values through DSMC Music Studios and DSMC Graphics Studio. Train talented individuals to enlighten their talents in vocal and instrumental music through the DSMC School of Music encourage the upcoming song writers and composers through music workshops and other training programs Leading the Maramon Convention Music Ministry through song selection, choir training and the convention singing sessions. Membership to the choir is through the membership of the church and through choir audition. Any one who is a member of the Church, is welcome to join the choir and participate in its activities.